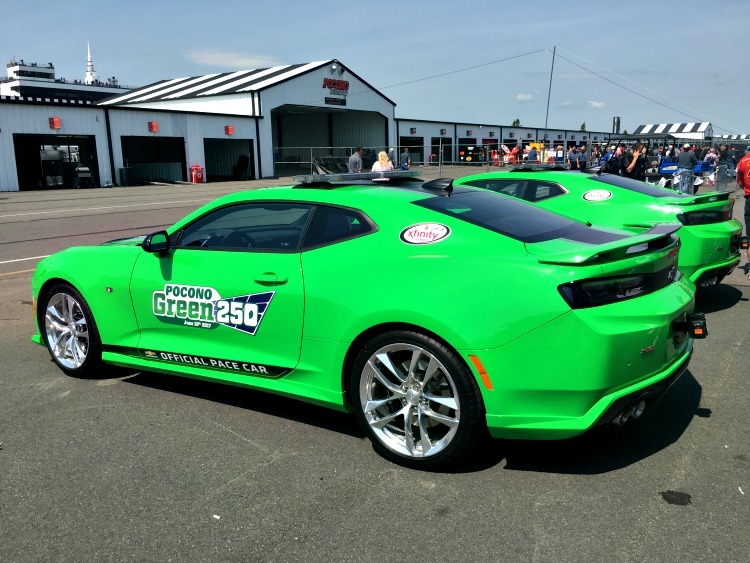 We recently had the pleasure of attending the Pocono Green 250 at the tricky triangle (Pocono Raceway) as guests of Xfinity. 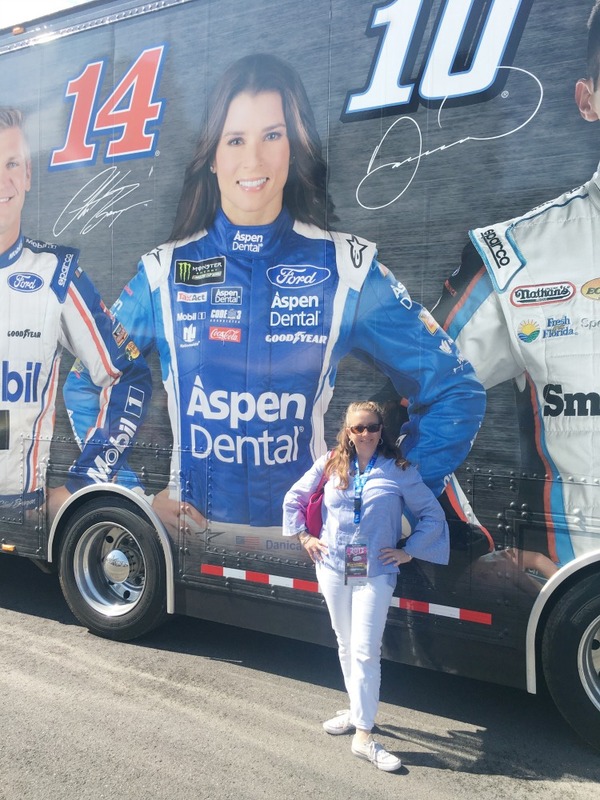 For this family full of race fans, it was a dream come true, as well as a day of family fun.I wasn't really sure what to expect, we've been to a lot of sporting events, but this was my very first real race. Racing is one of those sports that people seem to love or hate. I can remember watching Jeff Gordon (back then he was the Rainbow Warrior) with my dad and thinking how fun it would be to zip around the track going that fast. I'm not sure when my own kids began to enjoy it, but my oldest has been a die-hard Jimmie Johnson fan for years! We love to watch the races on TV each weekend, and if we are out and about during them, we listen to them on the radio. 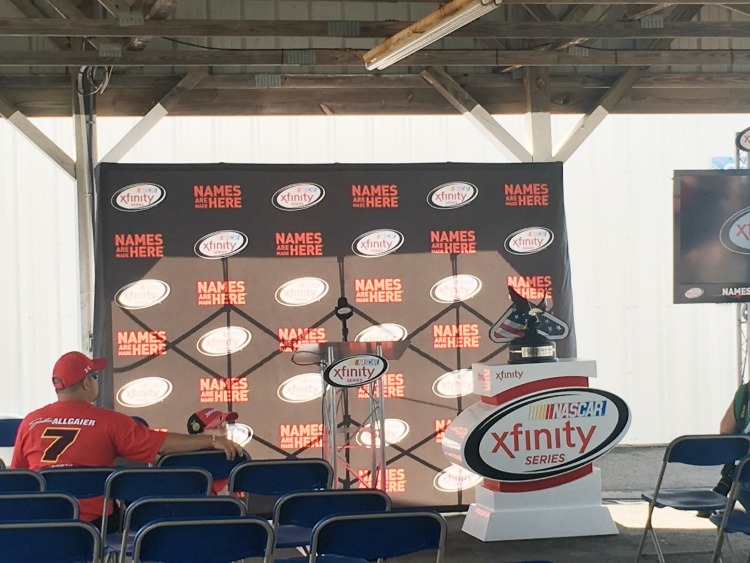 Back in September of 2014, Comcast announced a 10-year agreement with NASCAR that made the Xfinity brand, the title sponsor of the NASCAR XFINITY Series, which is the longest entitlement sponsorship agreement in the history of the series! The NASCAR XFINITY Series races some the nation's largest markets, like Chicago, Los Angeles and Miami, and the sport's biggest and most iconic tracks, like Daytona, Darlington and Talladega. The very future of NASCAR flows through the XFINITY Series, which is showcased with the series motto, "Names Are Made Here." 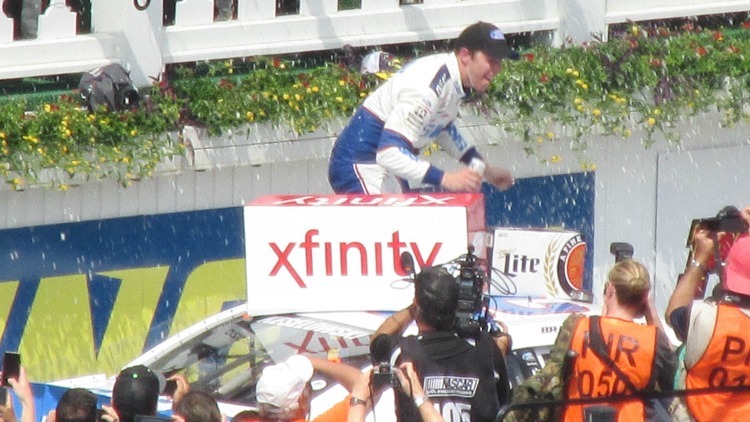 Some of NASCAR's biggest names today first made their mark as XFINITY Series champions, including Kevin Harvick and Dale Earnhardt, Jr..If you're more of a stick and ball fan, it's similar to the Minor League in the MLB. I find the stories of how these guys got into a car, so interesting. Some of them have been racing since they were little kids, starting in go-karts. 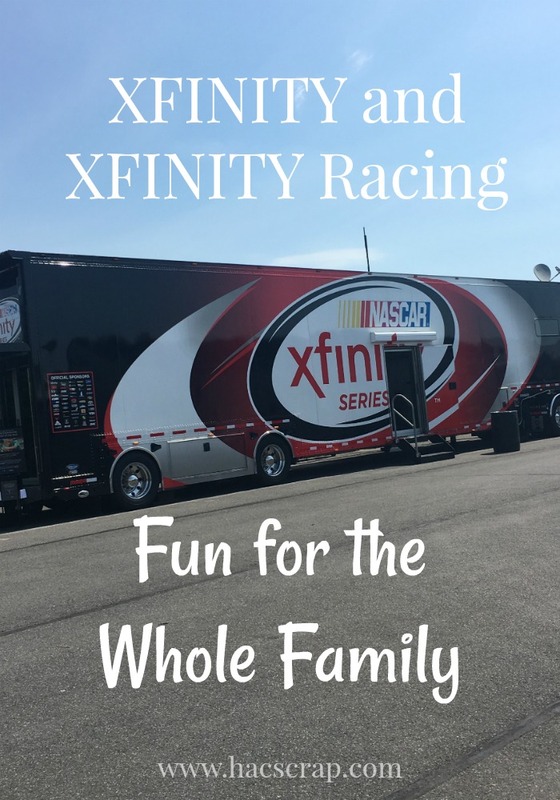 So what makes a visit to an XFINITY SERIES race so much fun for families? Much of it has to do with the tracks themselves and what they offer attendees and fans. These racetracks have become real destinations, with teams of people devoted to the racing weekend experience for the entire family. Let me start by saying it was NOT what I expected. There were SO many things to see and do! The first thing that struck me as we walked into Pocono Raceway, was that it felt more like a street fair and less like a sporting event. We started our day in the Fan Fair section. Here, there are merchandise trailers for all the popular drivers, selling just about anything you can think of. We all wanted credential holders with our favorite drivers on them. I think Danica and I would make a pretty good team. There's an amazing Kid Zone in the Fan Fair section as well, with all sorts of things for the kids to do, like a bounce house and games. My kid's favorite was the Pit Stop booth. Here, they got to try their hand at removing the lug nuts from an actual racing tire. It's not quite as easy as the pit crew guys make it look! Chevrolet had a huge set-up, featuring many of their new energy-efficient vehicles for regular people, as well as some of their famous race cars. The Fan Fair section is totally stroller-friendly, with lots of space to move around. There's limited shade (at least at Pocono) so be sure to wear sunscreen. You can get out of the sun once you enter the track, as the area under the grandstands is completely shady. These cars are loud, and while there are ear plugs available at a reasonable cost at the track, I would recommend headphones for your littlest people. There are concession stands for foods and drinks, and you can purchase beer (if you are of legal age with proper identification) at the track. What's unique about the racetracks is that you can carry in coolers. This is a GREAT idea for families, as kids can be picky and want to eat ALL the time. You can find all the details on the race track's website, including numbers and emails to use if you have additional questions. The racing community is very family-friendly, as many of these teams are family affairs. 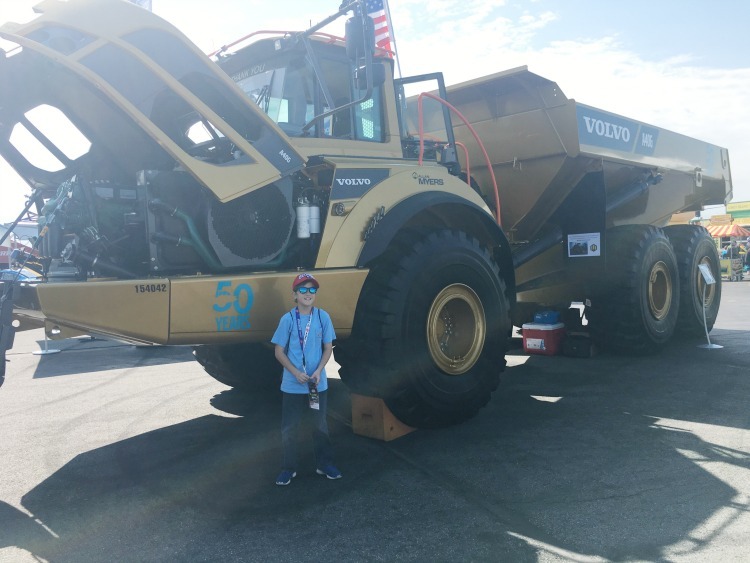 In fact, did you know that kids ages 12 and under are admitted FREE to every NASCAR XFINITY Series and NASCAR Camping World Truck Series race on the season schedule when visiting with their families? How cool is that?!! It's great for families on a budget. Why do they do this? 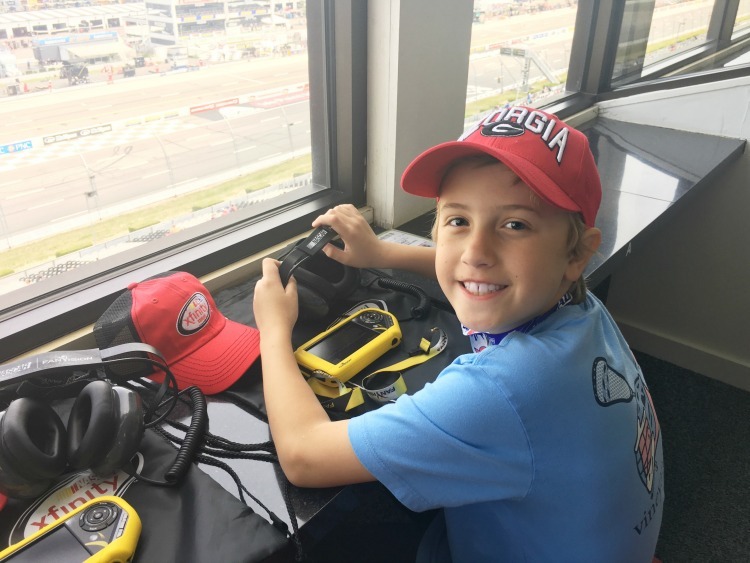 The goal of the youth ticketing effort is to encourage fans to bring kid to a NASCAR race, and provide them with with an opportunity to learn more about the sport. Each track offers unique opportunities for kids and families, on top of the great racing action you can see on-track. You can learn more about free and discounted tickets for kids at NASCAR.com/kidstix . As part of our invitation, we got to attend the Drivers' Meeting. Prior to each race, regardless of which series, NASCAR officials hold a Driver's Meeting. In this meeting, they go over some rules for the day, since each track has it's own unique features. They review safety information, wish everyone luck and answer questions from the drivers and crews. 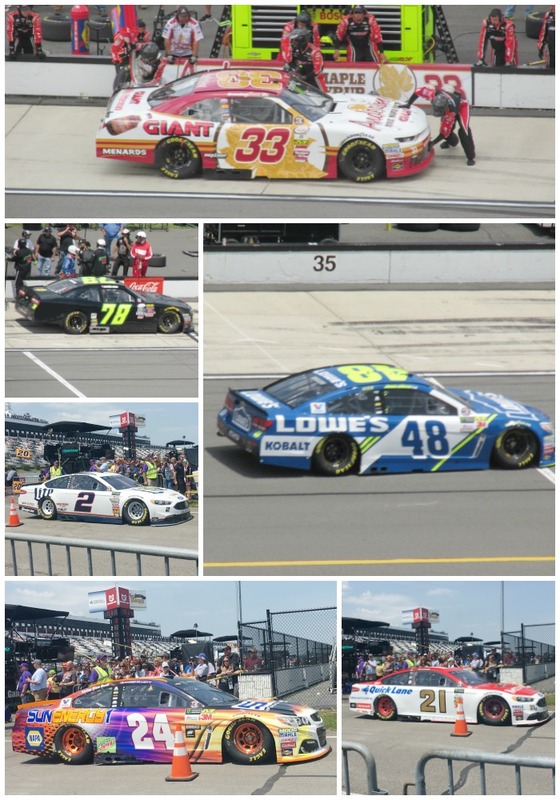 We got to be up close and in person with several drivers (to me they looked barely older than my 16 year old!) and they were all so sweet. The next stop on our itinerary was a tour of pit row and the garage area. These areas are open to fans who have the proper credentials. I really enjoyed getting a front row seat for all the preliminary work that takes place to get one of these cars on the track and keep it there. While we were touring pit row and the garage, the Cup Series drivers were having practice. My oldest got the chance to see his favorite driver, the 8-time Cup Series Champion, Jimmie Johnson drive. A bucket-list item for him for sure! Finally it was time to take our seats for the big show! They call Pocono Raceway the Tricky Triangle, because it is shaped like a triangle, with only three turns/curves (check out #whatturn4 for more). We could see almost the entire race track from our amazing seats (thanks to XFINITY). John and Ryan chose to sit outside in the grandstands to get the full race effect. Owen and I were quite content to be Xfinity's guests in their Skybox. Owen really enjoyed the fan scanner that let him keep up on his favorite drivers and all the race action. It was a great race, and while we were happy for the drivers' sake that there we no wrecks, as fans we were a little disappointed. The race was really great. Owen and I were rooting for Kyle Larson to win, and it looked good, until Brad Keselowski pulled off the win. Brad puts on a great show after a win, collecting the American Flag and driving past all the fans with it. Then of course, there are the customary burnouts . . .you can really smell the rubber! Finally it's off to Victory Lane for a big celebration, thank yous to all the sponsors and media interviews. Can't make it to the track to take in a race? 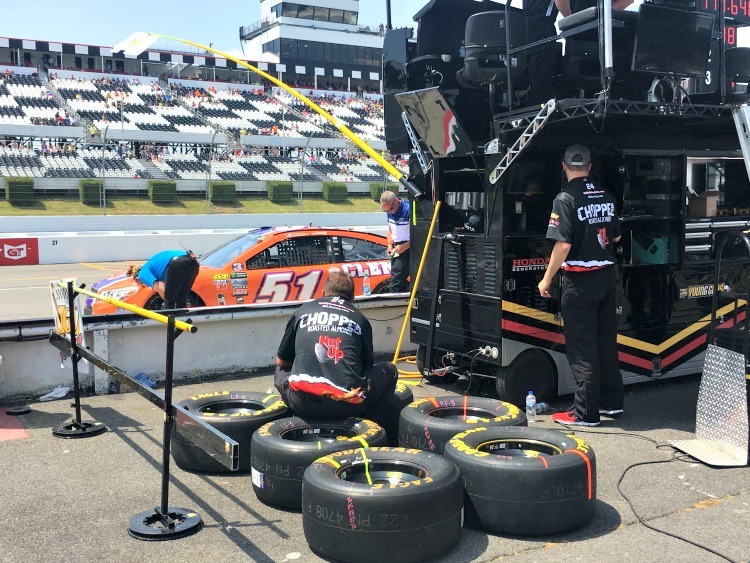 No worries, Xfinity has you covered with their amazing Xfinity X1, which includes real-time data and stats regarding everything happening on the track, all on your TV screen! You can also catch NASCAR broadcasting on NBC Sports, including the fan-favorite NASCAR America weekday and pre-race show. Have you tried the Xfinity Stream app? This cool app allows subscribers to to watch and stream your favorite TV show from anywhere (including live races!). And finally, NASCAR Video on Demand content can keep the race action going long after the checkered flag waves.